Image 1: Within the muscles of the thenar eminence is an 18mm echogenic foreign body with posterior acoustic shadowing. 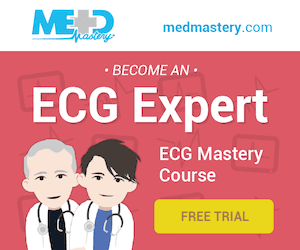 It is surrounded by a rim of echogenic fluid likely to be pus. Its shallow end lies at a depth of 1cm and its deep end at 1.25cm. Palm frond in the muscles of the thenar eminence. Why don’t foreign bodies look like this when I search for them? Machine settings – use a small parts preset, several focal zones within the region of interest improve resolution. 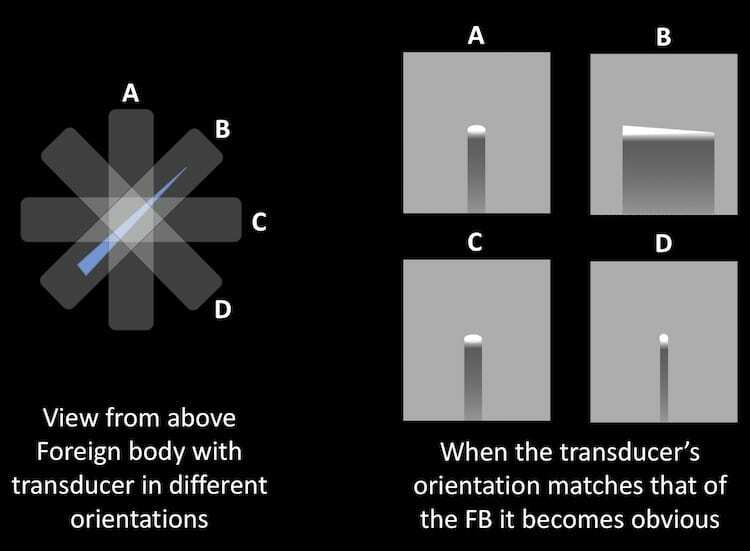 Turn off compound imaging which reduces artifacts that we often rely on in the search for foreign bodies – like posterior acoustic shadowing in wood or plastic, and reverberation in glass, metallic or graphite. Search technique – penetrating foreign bodies are usually splinter like – long and thin. They are obvious when the axis of your beam lines up with the long axis of the foreign body. Most of the time you will see the foreign body in cross section only, or perhaps an oblique section which is still quite small (see Figure 1). Search in many different planes. Slowly sweep or fan the transducer through the region you are searching. 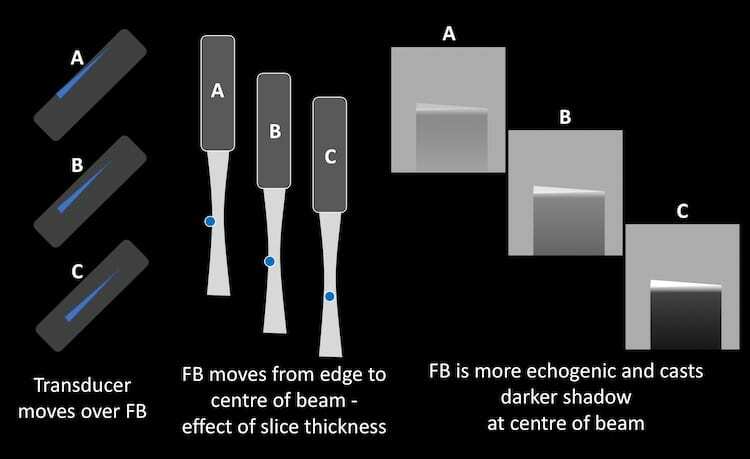 The FB will be most obvious when in the centre of the beam (see Figure 2). 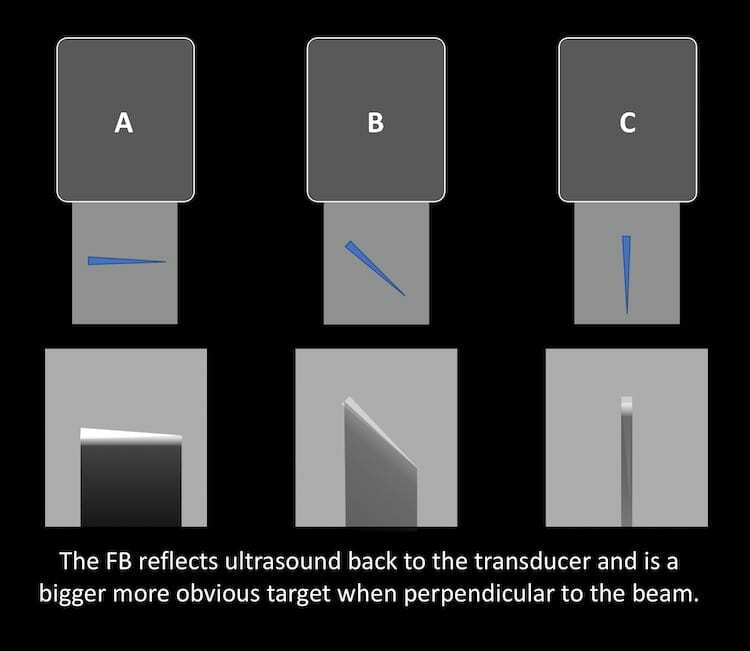 Think about the angle of penetration and try to search for the FB so the beam will hit it at a 90 degree angle – it will be more obvious (see Figure 3). Consider scanning in a water bath – very superficial FBs are often clearer (otherwise they are obscured by near field artefact). In a water bath pain is reduced for the patient as you are not pressing directly on the wound. 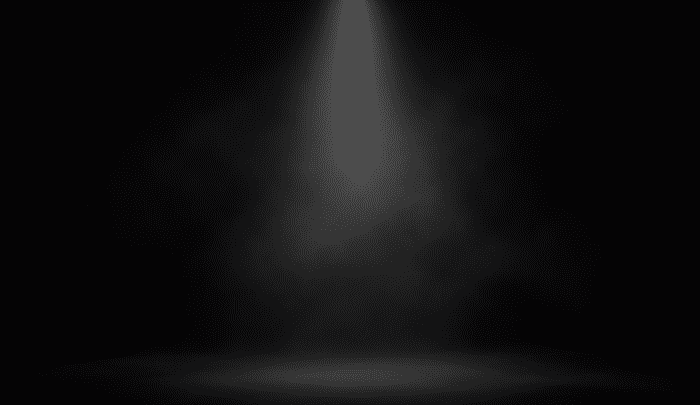 Do a regional block rather than injecting local into the area surrounding the FB – which runs the risk of introducing tiny bits of air that obscure the view. It is often easier to see and remove the FB a few days after it enters – a local reaction and surrounding rim of inflammatory fluid make it easier to find. Remember the old saying ‘measure twice, cut once‘. That is for carpentry. Here measure many times. Consider important local structures and avoid them. Try to approach the shallow end and cut across the FB so you strike it more easily. Then cut once with a tourniquet in place. Practice a few times on a chicken breast with some FBs placed into it before trying on a patient. You will realise that even finding the FB with ultrasound doesn’t guarantee removing it will be easy.